Abbreviations: BT, breath test; H2, hydrogen. Source: From Refs. 42, 51, 78, 80, 84, 101-105. To diagnose bacterial overgrowth, various breath tests may be used including the 14C-glycocholate, 14C-D-xylose, lactulose-H2, and glucose-H2 tests. The rationale for the breath test is the production of volatile metabolites i.e., carbon dioxide (CO2), hydrogen (H2) or methane (CH4), by intraluminal bacteria from the administered substrates, which can be measured in the exhaled air. The most successful and popular methods analyze either expired isotope-labeled CO2 after timed oral administration of 14C- or 13C-enriched substrates, or breath hydrogen following feeding of a non-labeled fermentable carbohydrate substrate. The 14C- and 13C-breath tests measure the pulmonal excretion of labeled CO2 produced by the fermentation of labeled substrates, using either a radioactive or a stable isotope. The increasing availability of methods for analyzing stable isotopes has raised interest in replacing the radioactive 14C by non-radioactive 13C. The use of radioactive isotopes is not recommended for study of children or women who are or might be pregnant. 13CO2 can be measured by mass spectrometry. Because of concerns about diagnostic accuracy, costs of the substrates and equipment, and limited availability, these tests have not gained widespread acceptance. The first breath test to diagnose SBBO was the hydrogen breath test described by Levitt in 1969 (76). Hydrogen is a constituent of human breath derived exclusively from bacterial fermentation reactions in the intestinal lumen. Detection of hydrogen in expired breath is considered a measure of the metabolic activity of the hydrogen-producing bacteria. Bacteria produce hydrogen from carbohydrate substrates, and human tissue does not generate hydrogen. The colon is considered to be the only place in the human body where hydrogen is produced, because of the high amount of hydrogen-producing bacteria. In cases of SBBO, hydrogen is also produced in the small intestine. Part of the produced hydrogen is reabsorbed from the intestine into the blood, and is exhaled. 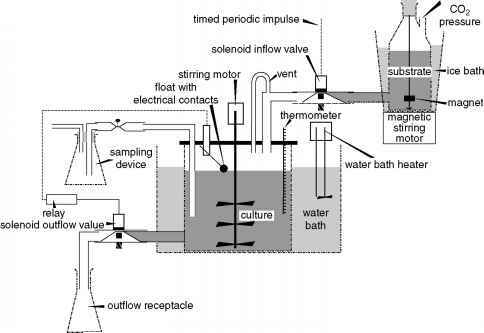 Measurement of breath hydrogen could circumvent the administration of a radioactive isotope in testing for bacterial overgrowth. This test assumes the presence of a hydrogen-producing microbiota, but in 15-20% of humans the microbiota of the subject does not meet this condition. Hydrogen breath analysis is therefore not sufficiently reliable as a diagnostic tool in SBBO.